So about a month ago, I wrote a post in which I confessed a secret, you can find that post here. I've been making a lot of head way with clearing out and organizing my books, I've been finding a lot of titles that I never even knew I had! With that said, it's definitely been taking me much longer than I originally anticipated, but since I will now be moving out in August to go away for Teacher's College (so excited!) I feel the need to get through them all, more than ever. It's going to be a whole Spring of Spring cleaning! haha. 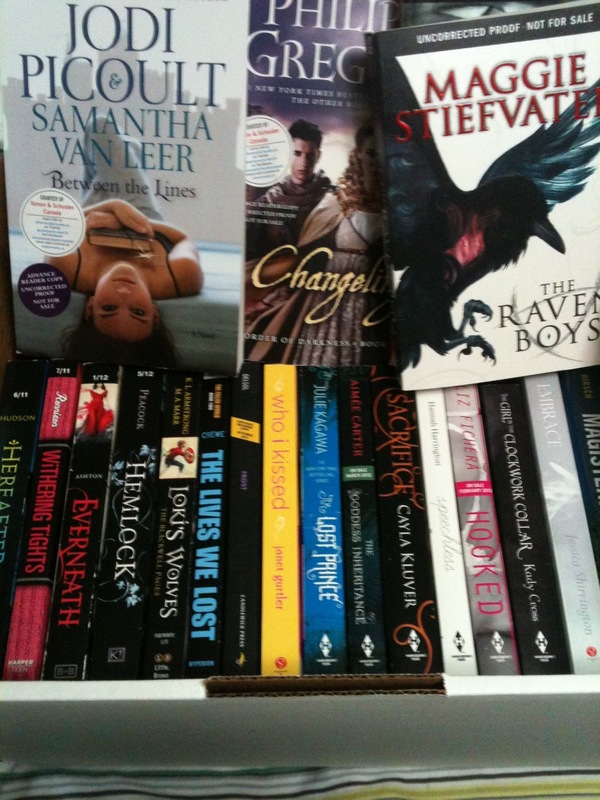 So I've decided to break up my books into sections, and the first (and my most favourite) are my ARC shelves, I posted a picture way back on my Twitter feed that showed about half of the ARCs I actually have in my possession. I've been doing various things with my overhaul of ARCs; I brought a box into work for my bosses and co-workers to pick through (many of which are now gone haha), I've given most if not all, of my Middle Grade titles to my younger cousin (who will be posting her own reviews on this blog starting next month, so stayed for that ;)). I wanted to donate some to my local libraries, but this is actually frowned upon by the Publishing Houses as librarians are not suppose to have ARCs on file in their libraries, this is what a Penguin rep informed me at OLA last January- I wasn't even aware of this, but I'm glad I know now! Soooo that leaves me with still many ARCs to donate, soooo....umm... you want 20+ ARCs? This is a sneak peek at the prize ARCs, I probably will add a couple surprise ones as well, because there's still room left in this box!!! That's right folks, no lie I'm giving away over 20 of my ARCs to one lucky winner/follower!!! You want to win, well fill out the Rafflecopter form below!!! Please carefully read my Contest/Reviews Policy page before you enter!!! I swear my fingers were possessed when I entered this contest because I don't need more books, but I WANT them. I'm proud of you for letting some books go, girl! I know it's hard, but you're doing the right thing. So stoked about this giveaway! I would love to win some summer reading books! Thanks for sharing and all you do. My bookshelves are pretty bare. These would look good on my poor lonely shelves (just saying). I love reading and the library is my only way to read. I do want to thank you for giving us all a chance to win any kind of books. It's pretty incredible. 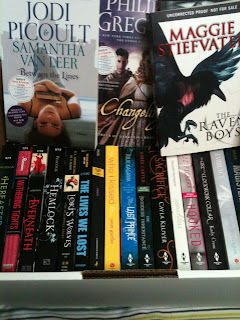 I think I might need to buy another bookshelf if I win this! Oh my goodness. Thank you for this awesome giveaway. No idea where I plan to put any more books in my house, but my priorities have always been skewed anyway! Thanks so much for the great giveaway! BTW Love your blog! Thanks so much for the wonderful giveaway. I commented on 3 Review Posts but for some reason the Rafflecopter will not retain my entries. Commented on 1) Unbreak Me 2) The Elite and 3) True Love Story.